Berberine is a relatively well-known substance with a great amount of research on its effects. However, most people are still unsure about Berberine’s safety. In this article, we’ll explore the safety of Berberine and how you can use this top health-promoting supplement without experiencing negative side effects. So, is Berberine safe? Well, all the studies to-date on Berberine have shown that people do not tend to experience any serious negative adverse effects when they use it as a health supplement. However, Berberine targets parts of your body that can cause dangerous interactions with medicine – especially antibiotics and blood pressure lowering medicine. Is Berberine safe and healthy? 1. What does Berberine do? Berberine is a great health-promoting supplement with a number of well-researched health benefits. These benefits have been seen in numerous clinical trials and systemic reviews. One great review was published in the Natural Medicine Journal exploring how Berberine works and its great effects. One of Berberine’s primary effects is to activate an enzyme called AMPK. This has numerous effects in your body including helping to support a healthy circulatory system and healthy blood sugar levels. Berberine is one of a handful of chemicals known to man that can activate AMPK. Berberine’s effects include supporting a healthy metabolism, healthy blood sugar and blood pressure levels, and maintaining healthy blood lipid levels. For more information on Berberine’s effects, read through our in-depth Berberine product description or our Top 5 Tips for How to Take Berberine. 2. Have there been any Safety Studies? Two large systematic reviews looked into the safety of Berberine. A systematic review is a form of research that looks at all the existing data on a substance up to that point to draw its conclusions. The most recent review had the catchy title: “Meta-analysis of the effect and safety of berberine in the treatment of type 2 diabetes mellitus, hyperlipemia and hypertension”. Researchers published their findings in 2015. The researchers emphasized that no serious adverse effects were reported throughout the 27 clinical trials that had tested Berberine’s effects so far. They did also mention that there was still a limited amount of data on Berberine and that more in-depth studies should be conducted to better understand its potential therapeutic value. In another review published in 2015, entitled “Current knowledge and pharmacological profile of berberine: An update”, researchers provided evidence for the lack of adverse effects when using Berberine. They did, however, mention that Berberine has the potential to interact with a large number of medicines and that more studies should be conducted to determine if there are any rare adverse effects that have not yet been reported. Lastly, a 2011 review, “Berberine as a promising safe anti-cancer agent - is there a role for mitochondria?”, examined the effects of Berberine on mitochondria and how this may have the potential to promote good health. The authors provided evidence that Berberine is a safe supplement to use on its own. 3. Does Berberine interact with other Substances? Yes! Berberine has a long list of potential interactions, some of which may be very harmful. Do not take Berberine if you are using any other medication. Please consult your physician if you are on any medication and would like to use Berberine. Berberine may have particularly strong interactions with certain types of antibiotics called macrolide antibiotics. These interactions can cause serious negative effects and should be avoided at all costs. Berberine may also interact with blood pressure lowering medicine. 4. What are Berberine Side Effects? WebMD is a great source of information about the side effects of different substances. Their information is based on journal articles and studies that have been published as well as user experiences. WebMD lists Berberine as ‘possibly safe’ for most adults in the short-term. It is unsafe for children and infants, as well as for breastfeeding and pregnant women. It may be unsafe for people who have low blood pressure as it has been known to lower blood pressure levels. Some Berberine side effects may include diarrhea, constipation, flatulence, and abdominal pain. 5. 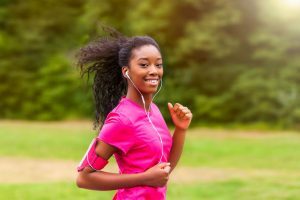 What is the Berberine recommended dosage? Scientists have examined the effects of Berberine in clinical trials, using a variety of different dosages. However, recent reviews have recommended a daily dosage of 300mg, three times per day. This dosage is enough to feel the beneficial effects of Berberine but limits the potential gastro-related side effects that some people experience. So, is Berberine safe? Berberine is a great supplement for anybody looking to support a healthy circulatory system and overall good health. It is beneficial in maintaining healthy blood sugar and blood pressure levels, as well as supporting healthy blood lipid concentrations. A number of studies have found that Berberine is very safe when taken on its own. Some people experience mild gastrointestinal side effects. Berberine has a large number of potential interactions and is unsafe to use with any medication. Please consult your physician if you are using medication and would like to try Berberine. Meta-analysis of the effect and safety of berberine in the treatment of type 2 diabetes mellitus, hyperlipemia and hypertension, J Lan et al., J Ethnopharmacol. 2015 Feb 23;161:69-81. Current knowledge and pharmacological profile of berberine: An update, A Kumar et al., Eur J Pharmacol. 2015 Aug 15;761:288-97. Berberine as a promising safe anti-cancer agent - is there a role for mitochondria?, CV Diogo et al., Curr Drug Targets. 2011 Jun;12(6):850-9.